Klimenko S.G., Kravets O.Ja., Cherepukhin A.N. 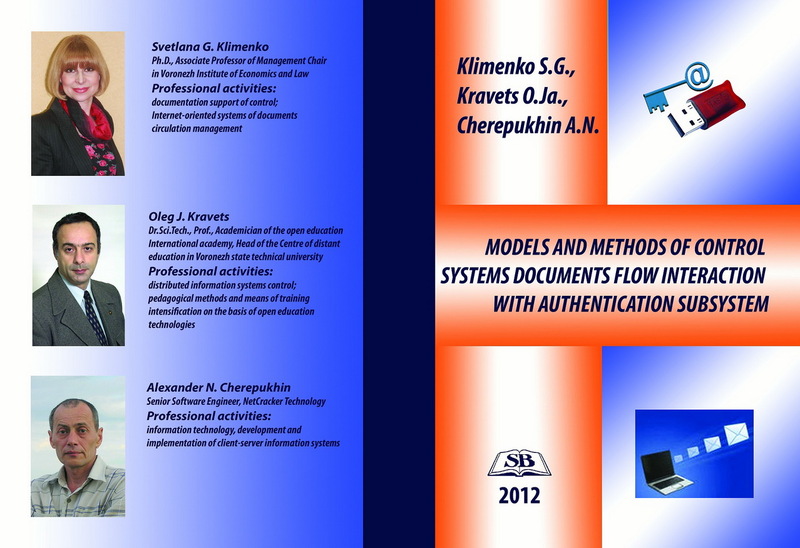 Models and methods of control systems documents flow interaction with authentication subsystem: Monograph. - Lorman, MS, USA: Science Book Publishing House, 2012. - 167 p.
Monograph is dedicated to an important problem of developing models and methods of document management system and authentication means interaction. Projecting and operation corporate systems has a series of obstacles among which: optimization of multilevel data processing structure functioning; providing of invariant APIs form the point of view of users. All these questions are discussed in the book. Monograph is designed for practitioners, PG students and students who study means and methods of projecting software. Achkasov V.N., Zolnikov V.K., Belyaeva T.P. 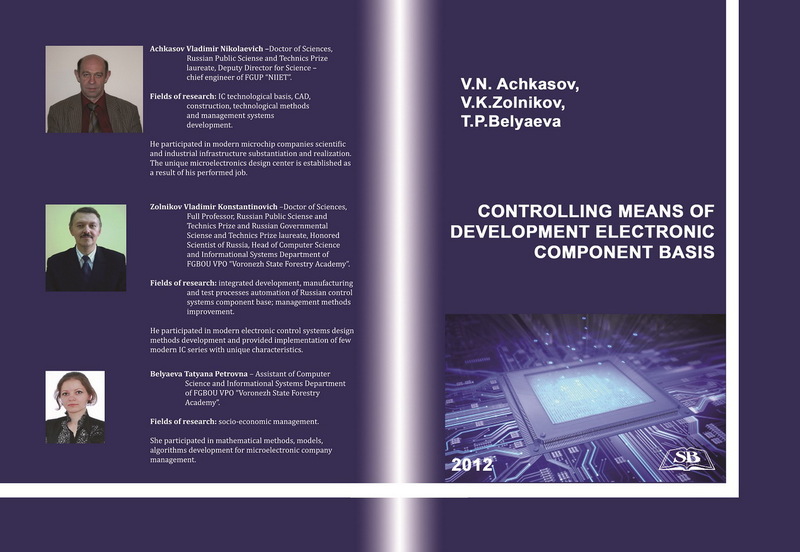 Controlling means of development electronic component basis: Monograph. - Lorman, MS, USA: Science Book Publishing House, 2012. - 130 p.
The monograph considers the means of project management in designing microchips. Issues of controlling several projects of developing microchips under conditions of uncertain financing and different time of the commencement and finishing of the realization are covered rather widely. The publication is designated for the employees of research and development organizations, as well as for the students and postgraduates who study disciplines of the speciality occupations connected with automation of designing and management in social and economical systems. Kryaklina T.F., Rettikh S.V. 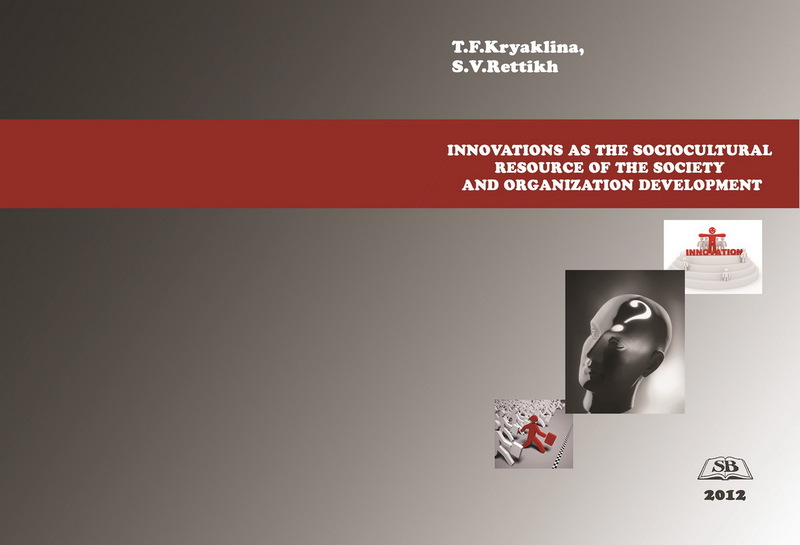 Innovations as the sociocultural resource of the society and organization development: Monograph. - Lorman, MS, USA: Science Book Publishing House, 2012. -212 p.
The monograph is dedicated to a study of innovations and innovation culture as the categories of culturology. The authors consider that the need for actualizing the study of innovations in the society and organizations at present ripened. In the monograph the channels of the translation of new cultural senses are represented. 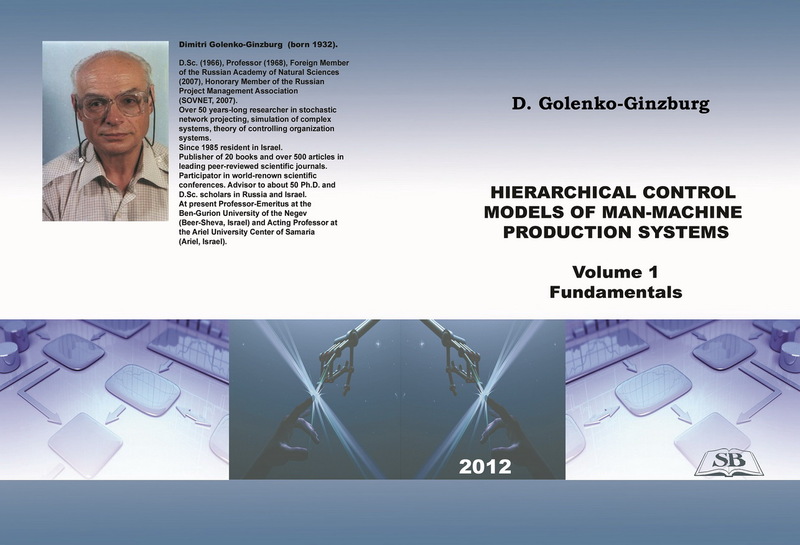 Golenko-Ginzburg D. Hierarchical control models of man-machine production systems, Vol. 1: Fundamentals: Monograph/ Scientific editor Prof. V.N. Burkov. - Lorman, MS, USA: Science Book Publishing House, 2012. - 268 p.
The monograph is dedicated to developing the general theory of production control by creating mathematical models of optimal planning and control for multilevel man-machine production systems. Solving coordination problems at various levels and working out detailed mathematical models of planning, checking, and on-line control for various production control models is carried out as well. The monograph is designed as a tutorial for graduate scholars specializing at "Production Planning and Control", "Industrial Engineering", "Operations Research","Management Science", as well as in Academic Institutions and organizations involved in planning and controlling large and highly complicated man-machine production systems. Kaladze V.A. 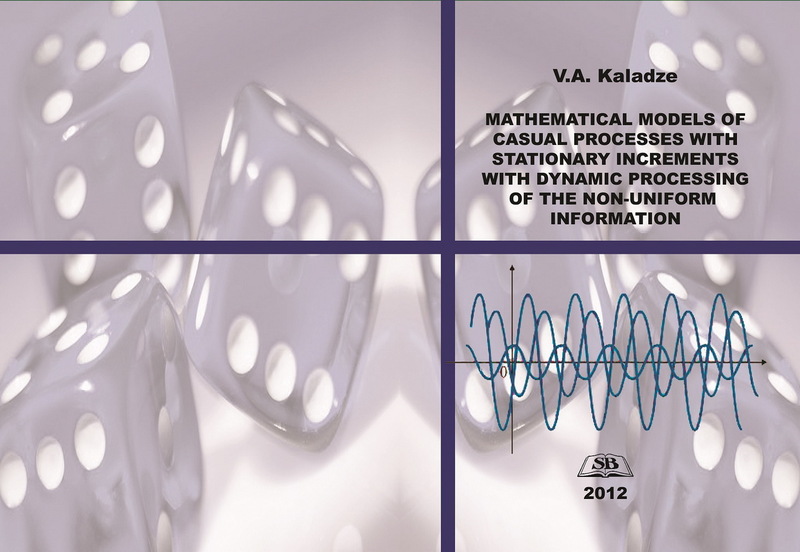 Mathematical models of casual processes with stationary increments and the non-uniform information dynamic processing: Monograph. - Lorman, MS, USA: Science Book Publishing House, 2012. -136 p.
In the monograph the concept of reconstruction of multidimensional structure of complicated systems is stated. A basis for realization of the declared concept, is working out of methods of mathematical modeling of the dynamic casual processes generated by complicated systems. Dynamic casual processes correspond to a class of processes with stationary increments of any order. For processing of selective functions of such processes representing non-uniform data sets registered in the form of casual numerical time sequences, specialized dynamic structure are the cascade filter. The mathematical description of complicated systems and, accordingly, dynamic casual processes is realized by filtering adaptive algorithms of modeling. Adaptation procedures, components with the basic procedures of modeling dual pair, are algorithms of statistical search optimization. The monograph is intended for science officers, post-graduate students, teachers, students, the area of which scientific interests is connected with technical cybernetics. Special questions of the distributed computing systems design. Vol. 1. 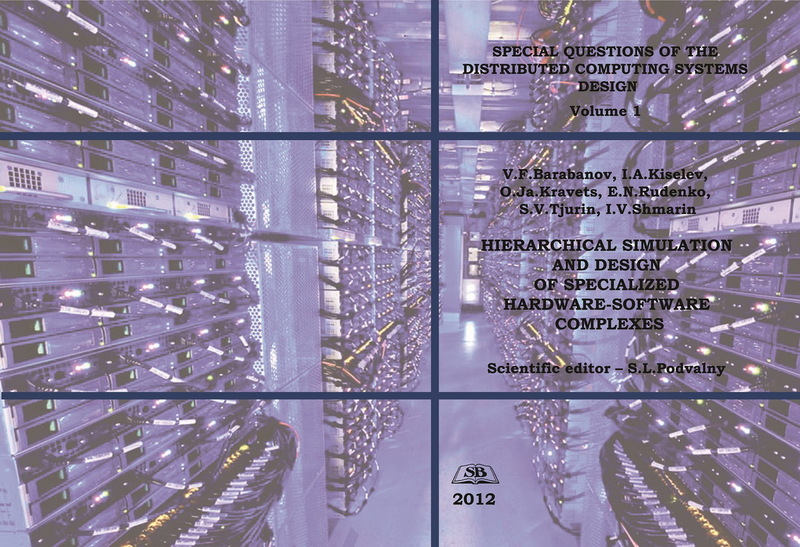 Hierarchical simulation and design of specialized hardware-software complexes: Monograph/ V.F. Barabanov, I.A. Kiselev, O.Ja. Kravets, E.N. Rudenko, S.V. Tjurin, I.V. Shmarin; Scientific editor - S.L.Podvalny. - Lorman, MS, USA: Science Book Publishing House, 2012. √ 183 p.
The book is devoted to problems of hierarchical simulation and design of specialized hardware-software complexes, including minimization of the area of programmable arrays in case of implementation of Moore machine guns; component integration of s_technology Framework with Microsoft Visual Studio; decision making of the population and the organizations support system in case of a Internet service provider choice. Each chapter of the book is written on the basis of the selected master dissertation of the graduate of automated and computing systems chair of the Voronezh state technical university. Sheremetyeva E.N., Tolstyh D.V. 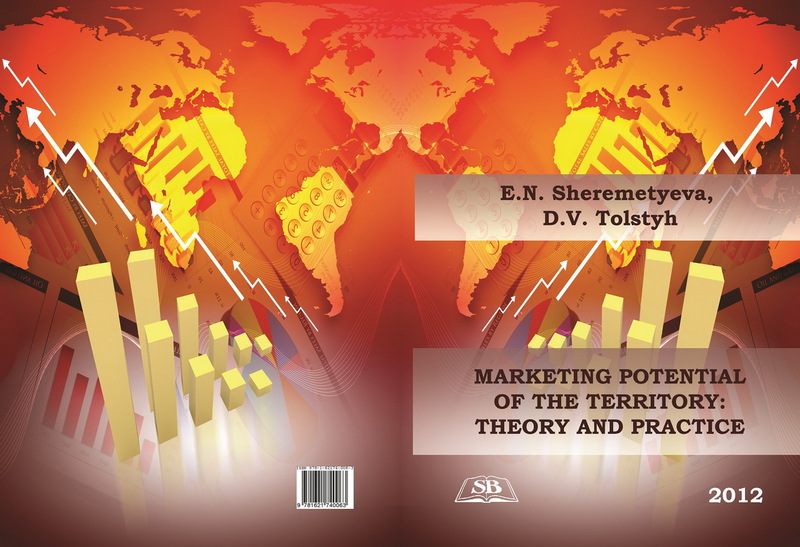 Marketing potential of the territory: theory and practice: Monograph. - Lorman, MS, USA: Science Book Publishing House, 2012. - 188 p.
The monograph is devoted to the topic of choice of the effective tools of analysis and evaluation of market potential, to identify the opportunities which territory has, finding hidden reserves and create the potential that the region is capable to possess in strategic perspective. The methodic, presented in the article, allow receiving complex quality marks of marketing potential of the territory and results of its use, what is the reason for developing strategic plans of territory development. Antsiferova V.I. Management of educational process: Monograph. - Lorman, MS, USA: Science Book Publishing House, 2012. 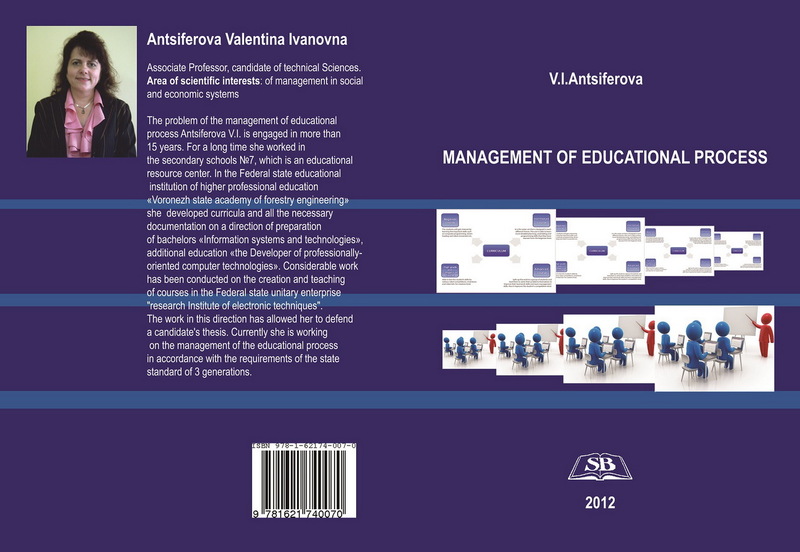 - 123 p.
In the monograph considers the creation of management of education of the Pro-process in the resource center, which includes monitoring of the needs of the labour market, formation of groups of students, curricula, monitoring of educational process, etc. The publication is intended for teachers as well as students and post-graduate students of "Management in social and economic systems". 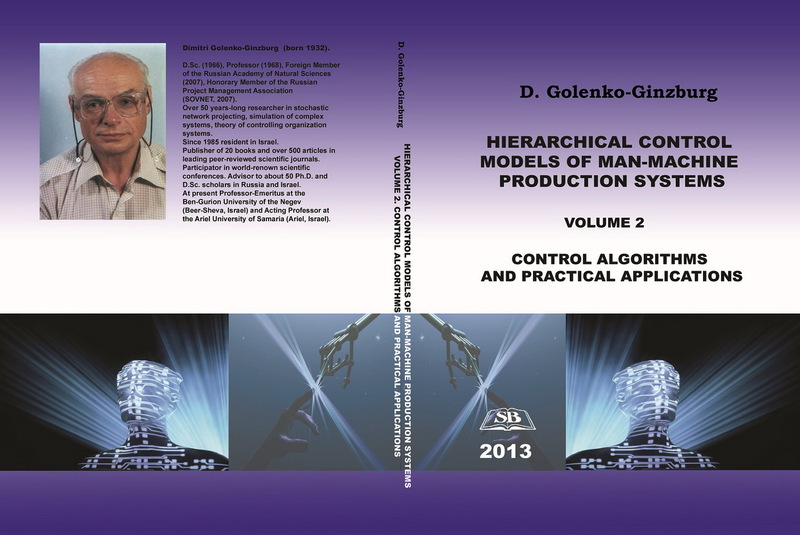 Golenko-Ginzburg D. Hierarchical control models of man-machine production systems, Vol. 2: Control algorithms and practical applications: Monograph/ Scientific editor Prof. V.N. Burkov. - Lorman, MS, USA: Science Book Publishing House, 2013. - 328 p.
The monograph is dedicated to developing a collection of control models of various man-machine production systems covering major types of manufacturing. Those control models are mostly based on approximate or heuristic approaches and do not involve precise optimal solutions. Thus, they do not yield optimal control, especially under random disturbances. However, those models do implement modern concepts of cybernetics, production research and industrial engineering and usually meet all practical requirements. The monograph is designed as a tutorial for graduate scholars specializing at "Production Planning and Control", "Industrial Engineering", "Operations Research", "Management Science", as well as in Academic Institutions and organizations involved in planning and controlling large and highly complicated man-machine production systems. Klimenko, G.Y. 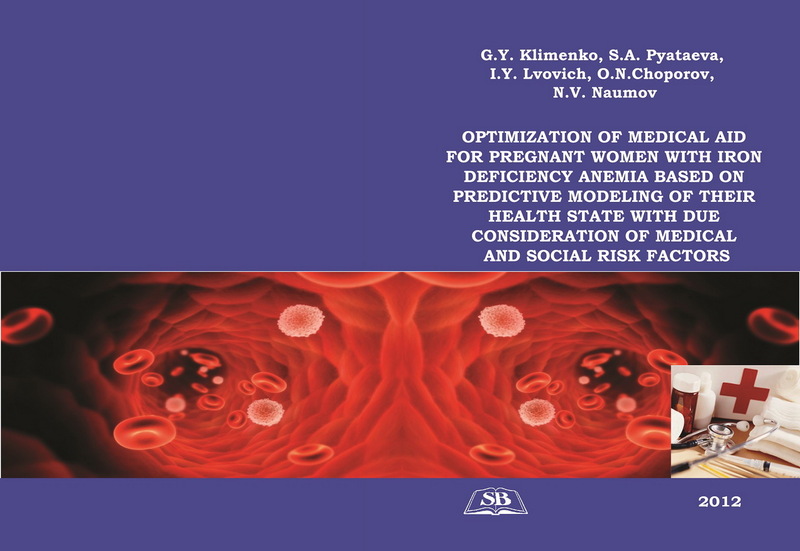 Optimization of medical aid for pregnant women with iron deficiency anemia based on predictive modeling of their health state with due consideration of medical and social risk factors: Monograph/ G.Y. Klimenko, S.A.Pyataeva, I.Y.Lvovich, O.N.Choporov, N.V.Naumov. - Lorman, MS, USA: Science Book Publishing House, 2012. - 144 p.
The monograph is devoted to the study of medical and social characteristics of pregnant women with iron deficiency anemia in the Voronezh region with the use of modern information technologies, methods of modeling and forecasting. The represented results are the basis for the adoption and implementation of science-based managerial decisions intended to prevent pregnant women from the iron deficiency anemia. The work is designed for health professionals and managers of health care institutions, obstetricians-gynecologists, as well as a wide range of readers interested in the health of pregnant women with iron deficiency anemia.